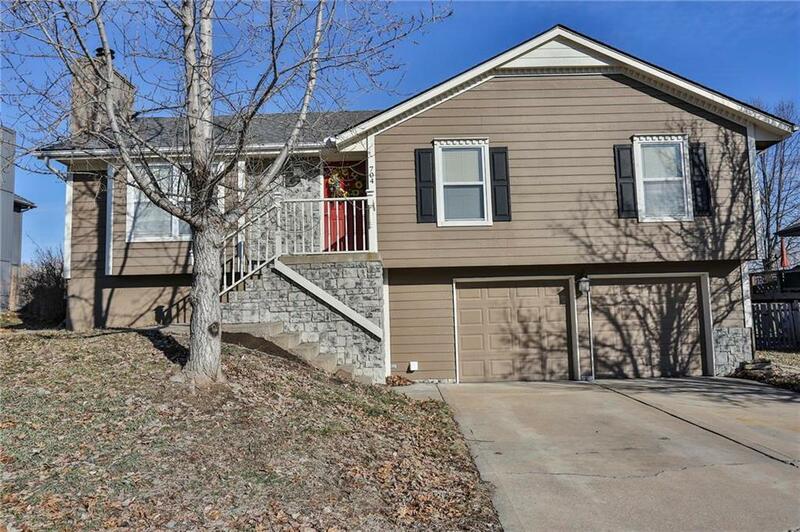 ADORABLE raised ranch in wonderful Grain Valley School District - MOVE IN READY! So many updates! A MUST SEE!!! Oak floors, updated kitchen with granite and stunning backsplash that ties in with the fireplace, cathedral ceilings, basement surround sound in-wired within walls, relaxing pergola deck on a oversized backyard with a shed with concrete flooring, and gorgeous hosta plants throughout landscape. THIS HOUSE WILL GO FAST! Don't miss out! See supplements for "Things I Love About My House." Directions: I-70 Eastbound, Exit 24 on Buckner Tarsney, turn right, Right onto SW Nelson Drive.